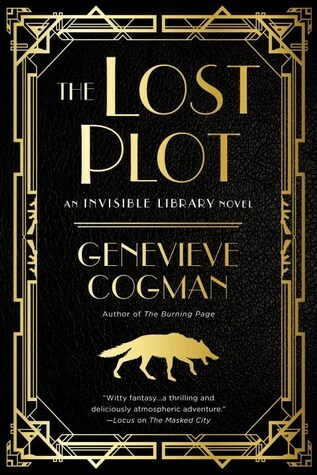 The Lost Plot is the fourth book in Genevieve Cogman’s delightful Invisible Library series, which follows the adventures of Librarian Irene Winters whose job involves traveling to various alternate worlds collecting books for an organization existing outside of time and space—and often requires plenty of deception and quick thinking on her part. Fortunately, Irene is competent and sharp-witted enough to consistently rise to the occasion even in the most ludicrous situations, and her practical-yet-amusing observations of the world and these frequent absurd predicaments is part of what makes these novels so much fun. The Lost Plot is every bit as entertaining as I’ve come to expect from this series, and I especially enjoyed its focus on the difficulty of impartiality—and on dragons! With the work it does to maintain balance throughout the worlds, it’s important that the Library remains a neutral entity—which is why Irene is rather disturbed when she’s approached by a dragon hoping to enlist her aid in a political contest. A dragon queen has given two of her junior servants the opportunity to compete for the position of Minister by completing a series of tasks, one of which is procuring an original copy of Journey to the West found in a specific alternate world. Though the two candidates were explicitly forbidden from seeking the help of a Librarian, this dragon learned that her rival broke the rule and believes it’s only fair that she do the same under the circumstances. 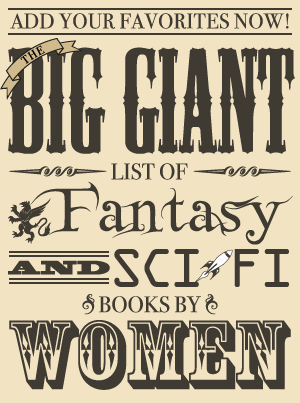 If you’ve been following this site for a little while, this probably isn’t the first time you’ve seen the Invisible Library series mentioned: not only have I reviewed each installment, but each book has also appeared on my last three year-end favorites lists. Like its predecessors, The Lost Plot is incredibly engaging, and I think that readers who enjoyed the previous books will most likely find this latest novel worthwhile as well. Personally, I actually found it to be slightly better than the last one since it was less meandering (and more dragon-focused!). Most of The Lost Plot takes place in an alternate version of America, mainly New York City after a brief stint in Boston, similar to the 1920s during the Prohibition. Irene and her apprentice, Kai, find themselves contending with cops and mobsters—plus a Fae sharpshooter serving as a mob boss’s right-hand woman, and of course, dragons! As usual, Irene has to overcome a variety of obstacles using her wits and a Librarian’s primary weapon, the Language, which can alter reality when used precisely. Irene not only excels at evaluating new situations and adjusting quickly but she also has fun with many of the challenges she faces: when she decides that she can use being mistaken for an infamous British mob boss to her advantage, she finds she rather enjoys playing this role. I love that she’s competent and adventurous but also self-aware enough to realize that her insatiable curiosity could be her downfall and that she can sometimes be more calculating than kind (which she doesn’t particularly like, but she has no delusions about it being a part of her). The central theme of the novel is neutrality as Irene and her closest allies grapple with the complications that come with the expectation of being completely unbiased. Since this investigation involves dragons, Irene working with Kai—a dragon prince—can present some problems for both of them, and Irene sees firsthand how having close ties can compromise one whose duty relies on being impartial. The Lost Plot is a diverting read with a wonderful setting that is less disjointed and more focused than the preceding volume in the Invisible Library series. The one thing I would have preferred was for it to be less of a standalone since it did not follow up on the revelations from the last book other than briefly acknowledging them, but at the same time, it’s not what I’d call a “filler book” since the end does have potential ramifications for future installments. However, it is another absorbing, compulsively readable adventure—and I can hardly wait to find out what trouble follows Irene in the next book!